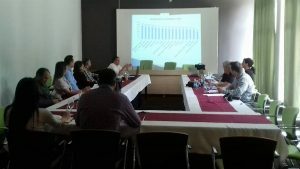 Within the project LocalInterAct Network, a workshop of development teams of Derventa, Prnjavor and Laktaši municipality was held in Derventa. Members of the project teams presented findings of quantitative analyzes and research of the local economy of their respective municipalities for 2016. 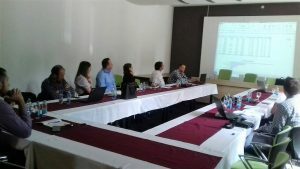 After that, discussions were held on possible improvements and application of new tools and techniques in analysis of situation and trends in economy of local communities. It was agreed that, once a database for 2017 is available, the representatives of municipalities individually perform the analysis, and after that, with the supervision of a consultant, to conduct detailed control of the entered data and quantitative analyzes. The aim is to strengthen capacities of municipal administrations, so that they can use new methods and techniques in conducting analyzes more effectively and efficiently in future.